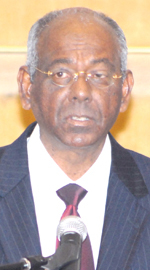 The only way to break the current political stalemate in Guyana is through Constitutional reform and new elections. 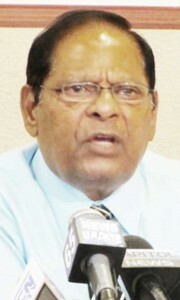 This is the view held by Former Speaker of the National Assembly, Ralph Ramkarran, who in his most recent writings for his blog conversationtree.gy, said that instead of seeking the kind of unity that would have ensured political stability and development after the 2011 elections, the PPP/C opted for a minority government. The National Assembly Wednesday night [April 24] approved a GUY$177.4B (US$877.2M) national budget, some 15 percent lighter than the estimates presented by the government a month ago. The combined opposition used its majority to evince a $19B cut in a $20B allocation earmarked for the Low Carbon Development Strategy pushing the total cuts to $31.35B. Minister of Finance Dr. Ashni Singh had presented a $208.8 budget proposal to the House on March 25.